WASHINGTON, Jan. 28 (Xinhua) -- The United States on Monday slapped sanctions on a state-owned oil firm in Venezuela, the latest move of the Trump administration to pile up pressure on President Nicolas Maduro to cede power to the opposition. The sanctions on Petroleos de Venezuela, S.A., or known as PDVSA, will block 7 billion U.S. dollars in assets and could result in 11 billion dollars in lost sales over the next year, U.S. National Security Adviser John Bolton told reporters at a White House briefing. Washington's tough sanctions against Venezuela came days after it recognized the opposition leader Juan Guaido as interim president of the Latin American country, denouncing incumbent President Maduro who won the elections last year with over two thirds of the votes. The U.S. Treasury described PDVSA as "a primary source of Venezuela's income and foreign currency" in a statement released later in the day, saying that the blacklist could help "prevent further diverting of Venezuela's assets by Maduro." As a result of Treasury's action, all property and interests in property of PDVSA subject to U.S. jurisdiction are blocked, and U.S. persons are generally prohibited from engaging in transactions with them. The Treasury also declared that the path to sanctions relief is "through the expeditious transfer of control to the Interim President or a subsequent, democratically elected government." 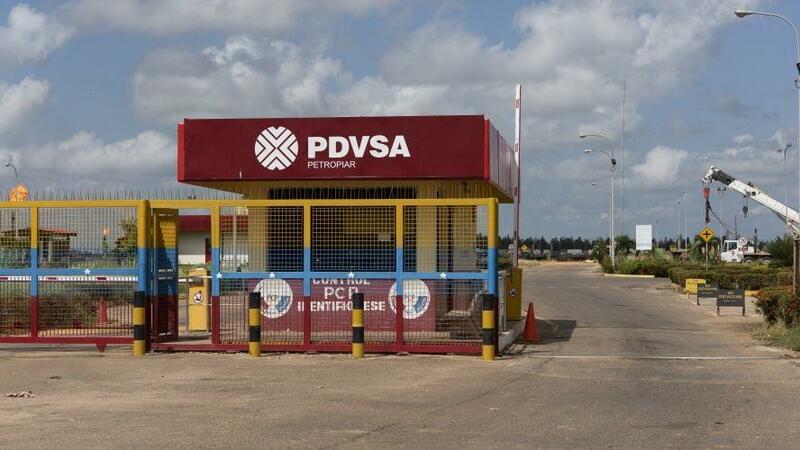 Meanwhile, the Treasury has issued general licenses that authorize certain transactions and activities related to PDVSA and its subsidiaries within specified timeframes. The United States, Brazil and some other countries have recognized Guaido's presidency, with U.S. President Donald Trump warning that "all options are on the table." Maduro, in response, announced the severing of "diplomatic and political" ties with the United States. U.S. Treasury Secretary Steven Mnuchin said in the Monday statement that the United States will "continue to use the full suite of its diplomatic and economic tools to support" Guaido, head of the National Assembly, who declared himself interim president during an anti-government rally. Maduro on Sunday visited a military base in the northern state of Carabobo, exhorting the audience "Traitors never, loyal always," televised images showed. The military is planning larger exercises on Feb. 10-15 that Maduro said would be the "most important in the history of Venezuela." Maduro was elected in May last year with 67.84 percent of the votes, and he was sworn in as president on Jan. 10 for another six-year term. On Wednesday, Guaido, 35, declared himself interim president. United Nations Secretary-General Antonio Guterres has urged all relevant actors to lower tensions and commit to dialogue to address the protracted crisis in Venezuela, after anti-government protests in the capital Caracas turned violent, said his spokesman on Thursday.